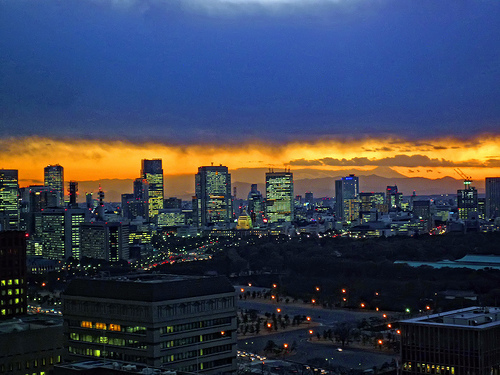 Tokyo is a wonderful place for expats and locals to live and work. Though very expensive, Tokyo has an amazing public transport system and is very safe. It is on the Eastern side of the main Japanese island, Honshu. The Greater Tokyo area is the world’s most populated metropolitan area, with 35 million inhabitants. It is also one of the three command cities of the world economy, along with London and New York City. It consists of twenty-three special wards with their own separate governments. Azabu is a well-known expatriate residential neighborhood, complete with access to three subway lines. It used to be home to many diplomats and business people, but today many artists and celebrities also reside here. It is in a central location, but there are still many quiet, residential districts. Azabu is divided into five districts: Azabu-Juban, which is somewhat suburban but has a shopping district, Nishi-Azabu, Minami-Azabu, Higashi-Azabu, and Moto-Azabu, in the center. There are embassies for many European and Asian countries in this area. Hiroo is just west of the Azabu area, and has quaint neighborhoods lined with trees on the streets. There are large supermarkets around the train station, but also many cute boutiques, restaurants, cafes and bars. Though there is action during the day, it simmers down around after midnight. It has Arisugawa Park, and easy access to hospitals. It is probably the most popular, but most expensive, expat residential area. Shirokane is south of Azabu, and has smaller neighborhoods with more greenery. There are several shopping streets, and the Nature Study park, which is very relaxing. There is also the “Platinum” shopping district, with trendy cafes and shops. This area has an interesting juxtaposition of high-rise residential towers and lush greenery. East Tokyo is a more local residential area, across the Sumida River, and it contains many aspects of the old life before Tokyo became a bustling international center. It has Ryogoku, the most famous sumo stadium, and many traditional shops and restaurants. There are many museums and cultural events. Harajuku is a very young cultural center, complete with shops and restaurants and trendy teenagers. On Sundays, you can watch costume parties, where teens dress up as anime characters! There is also Meiji Shrine, one of Tokyo’s most famous shrines, and the beautiful Yoyogi Park, which is great for jogging and picnicking. Visit Frommers or Nileguide for more information, and for details about more of the neighborhoods. Visit Housing Japan for information about apartment rentals.